When you start your gluten free journey you usually find a resource that helps you through it and for me that was when a friend referred me to Elana’s Pantry. It’s tough when you have to give every meal and snack a grain-free makeover. I had no idea making muffins and bread was going to be a possibility again. It’s that hope that helps you get through those first 6 months. I’m really thankful I was referred to Elana’s site. One of the first recipes I made I documented in an early blog post for Elana’s Paleo Bread. At the time I thought almond flour and almond meal were the same thing (*shakes face*). There’s a HUGE learning curve to grain-free baking. I’m really appreciative of Elana’s site offering so many free recipes to help you learn. 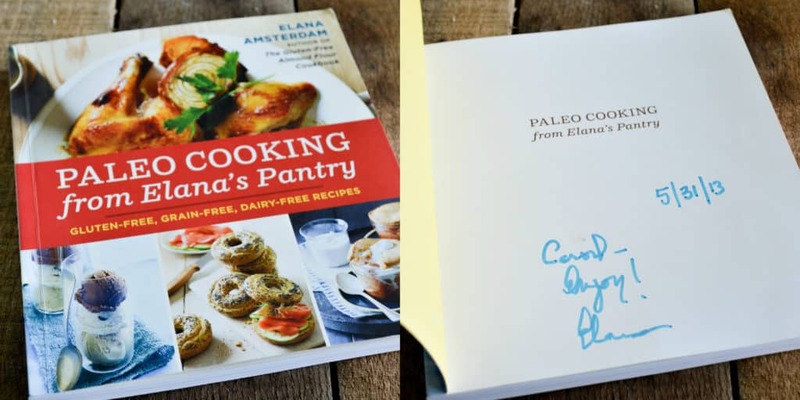 Elana’s newest book titled, Paleo Cooking from Elana’s Pantry, focuses on meals, snacks and desserts for the paleo lifestyle. 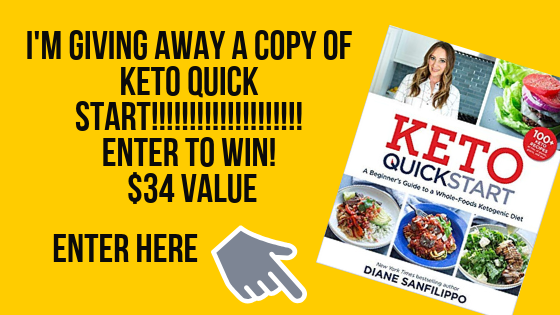 The book is a little different than other Paleo books because it eliminates nightshades and includes many nut-free baked goods recipes. Elana’s well known for being a baker and this book includes recipes for grain-free bagels, muffins, crepes, pancakes, crackers, tortillas and 5 recipes for bread. That’s just the starting; it also includes many Asian inspired dinners and desserts like ice cream. I actually made two recipes from the book. 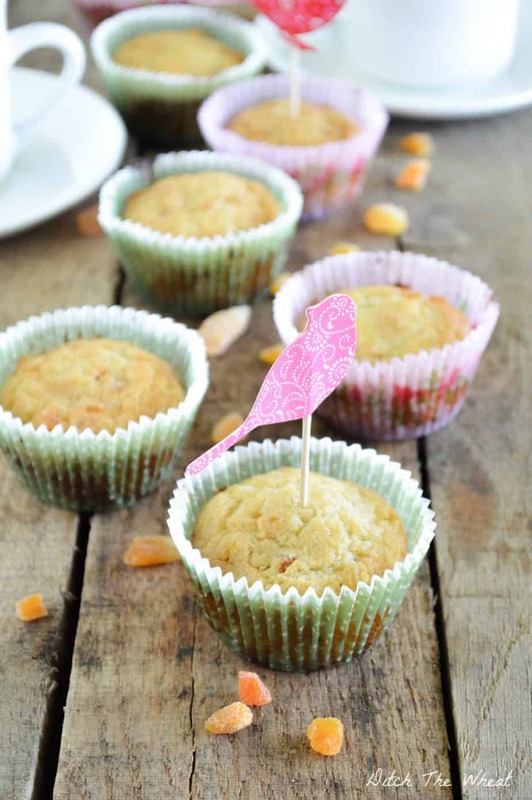 I served apricot muffins (page 20, click here to purchase the book for the recipe) to my family for dessert. They loved them. The recipe is very easy to make. Most of her baked recipes require you to put the ingredients into a food processor and press the pulse button and scoop into a baking dish and ta da you’re done! The other recipe I made was honey lemon chicken (page 65). I used a quarter of a chicken and roughly a third of the ingredients. The chicken cooked in the same amount of time as the recipe below for the whole chicken. I was surprised I loved the roasted lemony onions. I couldn’t get enough of them and I’ve been adding onions and more lemon to my roasted chicken dishes ever since. 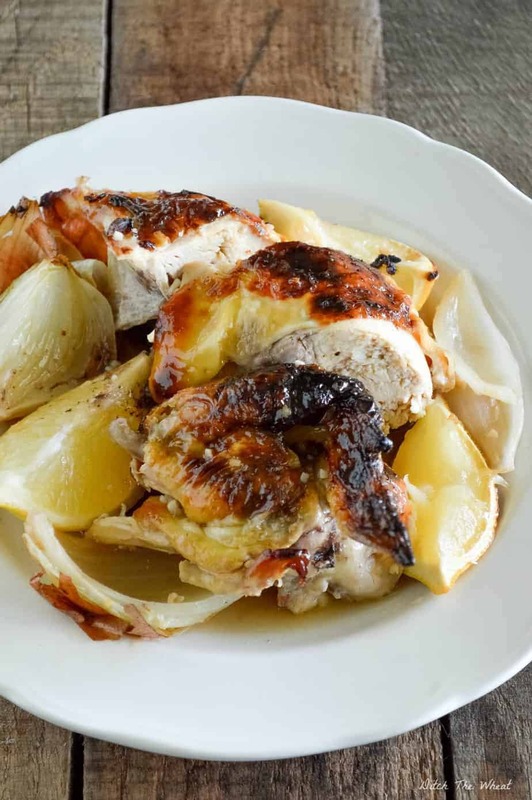 Honey Lemon Chicken is one of those recipes you can throw together in a snap and look like you spent hours making dinner. Purchase Elana’s newest book today by clicking here. 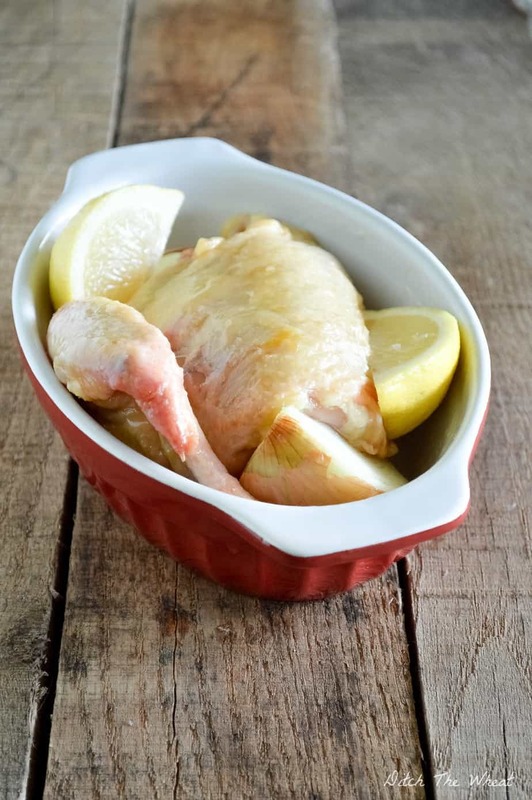 Place the chicken, breast side down, in a 13 by 9-inch baking dish. Drizzle the chicken with olive oil and honey, sprinkle with salt, and stuff with 1 of the whole lemons. Cut the remaining 2 lemons in half and place in the corners of the baking dish. Cut the onions in half (leaving the skin on) and place alongside the lemon halves. Break the head of garlic apart (leaving the skin on) and scatter the cloves around the baking dish. Bake the chicken for 50 to 60 minutes, until the skin is well browned. Increase the heat to 450 degrees fahrenheit, turn the chicken breast side up, and bake for about 15 more minutes, until an instant-read thermometer inserted into the thigh reads 170 degrees fahrenheit to 180 degrees fahrenheit. Remove the chicken from the oven. Carve the chicken, drizzle with the pan juices, and serve. Reprinted with permission from Paleo Cooking from Elana’s Pantry: Gluten-Free, Grain-Free, High-Protein Recipes by Elana Amsterdam (Ten Speed Press, 2013).